14-years-old Jan Tominić has been selected to represent Croatia at Eurovision Young Musicians 2018 in Edinburgh, United Kingdom. 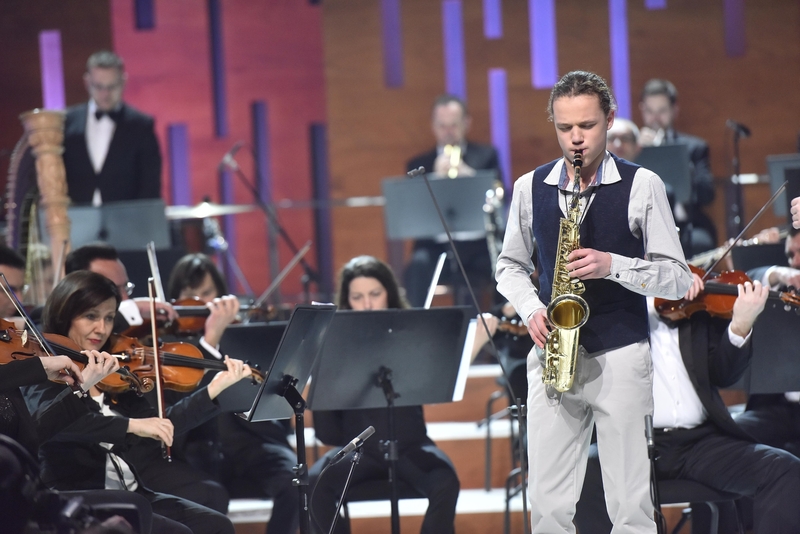 Saxophonist Jan Tominić will represent Croatia at this years edition of Eurovision Young Musicians which will be held in Edinburgh this August. Jan who was the youngest of the eight young musicians who took part in the Croatian national final, impressed the jury and will now carry Croatia’s hopes this summer. Jan Tominić is a pupil of the first grade of high school in the Musical School Ferdo Livadić in Samobor, focusing on the saxophone and taught by professor Tomislava Žužka. Jan performed Pequeña Czarda , for alto saxophone and orchestra Pedro Itturaldea. Jana was viewed as the favourite to win by both of the expert commentators who guided viewers through the show earlier this week. Croatia’s selection process for Eurovision Young Musicians 2018 was held in two parts. Fourteen young musicians performed for a professional jury on February 15 aged between 13 and 20 years old, with a jury selecting the finalists.